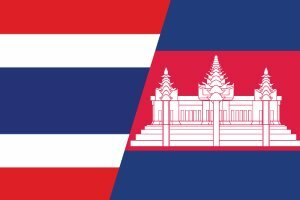 Cambodia and Thailand have joined hands to increase foreign and inter-ASEAN tourism under the “Two Kingdoms, One Destination” tourism pact. Tith Chantha, secretary of state at Cambodia’s Ministry of Tourism, said Cambodia and Thailand have already created a single-visa option for tourists looking to explore both countries in one trip. “Now, we’re joining with Thailand to promote Two Kingdoms, One Destination. It will make it much easier for tourists who don’t want to visit only one country during their trip,” he said. Thailand’s minister of tourism and sports, Kobkran Wattanakvrangkul, told the Bangkok Post that the campaign would run from 2015 to 2017. “The collaboration looks forward to exchanging foreign travellers and facilitating travel across both countries. The plan also promotes intra-ASEAN tourism,” Kobkarn was quoted as saying. The campaign will promote two major tourist routes. One will run along the Gulf of Thailand’s coastline, going through Bangkok, Rayong, and Trat in Thailand to Koh Kong, Sihanoukville, Kampot and Phnom Penh. The other will also originate in Bangkok and end in Phnom Penh, but will go through further inland from Aranyaprathet in Thailand to Poipet, Battambang, and Siem Reap. Ho Vandy, co-chair of the Government-Private Sector Working Group on Tourism, welcomed the initiative. He said that Cambodia had been cooperating with Thailand’s tourism association since 2008. “Now that this is being done on a governmental level, it will be a big boost because it will share benefits with both countries,” he said. Tourist arrivals to Cambodia from Thailand were up 37 per cent to 71,572 visitors during the first quarter of 2015, ranking fifth, while Vietnamese tourists still ranked first followed by China, South Korea, and Laos, according to the Ministry of Tourism. The data showed that Cambodia welcomed some 1.3 million foreign tourists in the year’s first quarter, a 3.1 per cent increase from the 1.267 million tourists in the same period last year. Last year, Cambodia received some 4.5 million foreign tourists, a 7 per cent increase from the year before. The arrivals generated about $3 billion worth of Cambodia’s $15 billion GDP. The Ministry of Tourism projected that Cambodia would receive about 5 million foreign tourist arrivals this year.